If you were looking for a duo to sell massively in the black American market of 1980, Isle of Man-born Barry Gibb and America's latterday answer to Marie Lloyd would not have been the likeliest pairing. For the Bee Gees it was a fantasy collaboration: Barbra Streisand's people had read in a magazine that she was the one singer the brothers dreamed of working with. For Streisand, the brothers Gibb had written ten number ones in two years and the possibilities were obvious. Yet straight away, before a note was sung, there was an ego problem. Bee Gee manager Robert Stigwood demanded three quarters of the royalties; three Gibbs, one Streisand, he figured. "They all sound alike," she snapped. "How much for just one?" The compromise was that Barry alone would complete the album with her. Though Streisand was famously exacting, Gibb soon found her to be a pussycat in the studio. The one thing that riled him was her habit of making two cups of tea with one teabag: "my roots are in Brooklyn, we came from a poor family" she protested, "you don't just use a teabag once and throw it out!" Clearly, he was in awe of her. He excitedly demo'd a dozen songs inside a week (with the bulk of the demos available on itunes, we know the album was effectively eighty per cent finished in seven days; yes, he does sing "I am a woman in love" and, yes, it'll make you snigger). When Barbra invited Barry and wife Lynda to dinner at her ranch home they saw rats scuttling across the floor. Gibb was shocked but too timorous to point out that his host had an infestation: besides, he reckoned it wouldn't have done much for the creative process. The first single from Guilty, Woman In Love, is all minor key, with an eastern European feel, and it sounded ageless as soon as it hit the airwaves. "Life is a moment in space - when the dream has gone, it’s a lonelier place" has been decribed as "metaphysical cheese" on Tom Ewing's Popular blog but for me it's one of the most desolate opening lines to any pop song, and Streisand is entirely believable as a middle-aged woman who refuses to give up on her elusive, lifelong dream - what world could exist beyond it? She'd rather not know. One of Streisand's few quibbles was with the line "It's a right I defend, over and over again": bizarrely she was worried it would make her sound like a militant women's libber. 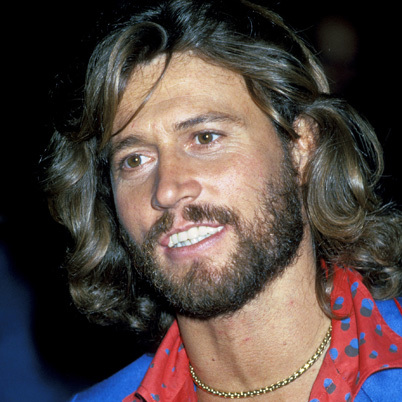 Gibb was more concerned that Streisand's trademark Broadway technique of gliding from one note to the next was in total contrast to his staccato, r&b-led melodies. The title track put them to the test: Streisand handles the first verse and chorus, before Gibb comes in - "pulses racing, we stand alone" - riding an unexpected key change. He never sounded more leonine. A lush string section glides in to back up his audacity. By the second chorus, Streisand is gliding and swooping like a swallow as Gibb stands square, not a hair out of place. It's a very playful performance, light and quite beautiful. The album contains a couple of makeweights in the showy Love Inside and Life Story, which includes the curiously culinary line "You boiled me over, now you're cold as ice." 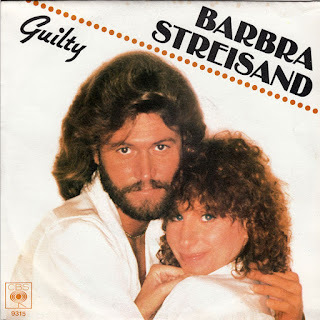 But all is forgiven on What Kind Of Fool, another duet which this time has Gibb chasing in between the stentorian Streisand's lead, and chastising a lost lover with a suitably heartbreaking melody. Guilty went on to sell eight million copies. In 2005 there was a sequel, Guilty 2 (it would have been titled Guilty Pleasures but the London club of the same name objected) which traded the original album's crisp minimalism for a contemporary, fuller, Nashville slickness. The same year brought the 25th Anniversary Edition of the original. It included no outtakes which is a shame as, apart from two Gibb originals in Secrets and Carried Away (duly covered by Elaine Paige and Olivia Newton John respectively), there were unreleased recordings of Wilbert Harrison's Kansas City and The Beatles' Lady Madonna. But there was a bonus DVD, which included live footage shot in Malibu, in 1986, of Guilty and an especially fragile What Kind Of Fool. The duo are all in white, so clean, all mutual respect. Gibb is the cowardly lion, Streisand is Miss Bighearted Brooklyn of 1980, the Jewish matriarch with a bowl of chicken soup for her younger charge. "Make it a crime to be lonely and sad" they coo, "make it a crime to be out in the cold." With blue-eyed soul this persuasive, they could teach the law commission a thing or two.